Henniker, New Hampshire -- Barefoot Technologies is delighted to welcome The Killington Group to our customer base. 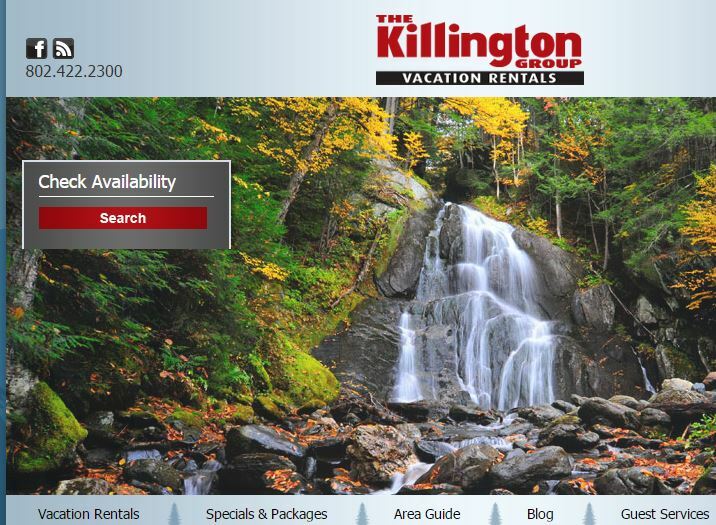 The Killington Group was eager to make a change to their vacation rental management software ahead of their upcoming season. They came to Barefoot ready to do what it took to implement the Barefoot system. The Killington Group has gone “live” in under three weeks with Barefoot. Leveraging the strong implementation procedure, The Killington Group team was able to build rules based on their business needs. The Killington Group was keen to have a software partner that not only provided a technology platform that would be able to help them compete in a competitive market, but that would easily allow them to integrate with a variety of online marketing portals. In fact, they wanted a third party between them and these portals to make sure that their business was completely accountable. The Killington Group prides themselves on being a small family owned real estate services company. They have been serving the greater Killington area in one way or another for the last thirty years. They serve private home and condo owners and provide professional property management services. Please feel free to call them at 802-422-2300. The Killington Group offers vacation rentals here in Killington VT. We represent private home and condo owners and are here to serve your vacation needs. We also offer a wide variety of professional property management services. Please browse our rentals and call if you have any questions. 802-422-2300.